It says a lot about the class of Apple's Jade that Gordon Elliott's mare is bidding for a hat-trick of victories in the baroneracing.com Hatton's Grace Hurdle (2.40) at Fairyhouse tomorrow despite her tender age of six. Apple's Jade has never been out of the frame in her 17 career starts with 11 victories, but was just below her best after Christmas last year with Grade One reversals at the Cheltenham and Punchestown Festivals. She showed her usual verve when strolling to the Grade Two Lismullen Hurdle at Navan earlier this month, however, with Elliott confident that some small problems have been ironed out. Her third successive win in the Fairyhouse Grade One is probable but in a season which has already thrown up some major big-race shocks, she is hardly a betting proposition at prohibitive odds. Supasundae was third in this race 12 months ago but went on to have a stellar season, taking the Irish Champion Hurdle and Punchestown Champion Hurdle. Jessica Harrington's star hurdler has traditionally improved for the benefit of a run though and missing the Morgiana two weeks ago due to unsuitable ground makes his task more difficult. Lottery His best may be seen from Christmas onwards while Willie Mullins' Limini hasn't been seen over hurdles since finding Apple's Jade a length and a half too good in the Mares' Hurdle at last year's Cheltenham Festival and may need some time to reacquaint with hurdling at Grade One level. With Mullins and Elliott responsible for eight of the ten runners - they saddle four each - it's a bit of lottery assessing the merits of the rest of their challengers but Bapaume (e/w) is one that could provide value. A former Grade One-winning novice hurdler, Bapaume eventually got the hang of things at the top level against older horses last season with a commanding victory in the Grade Two Prix la Barka in Auteuil. 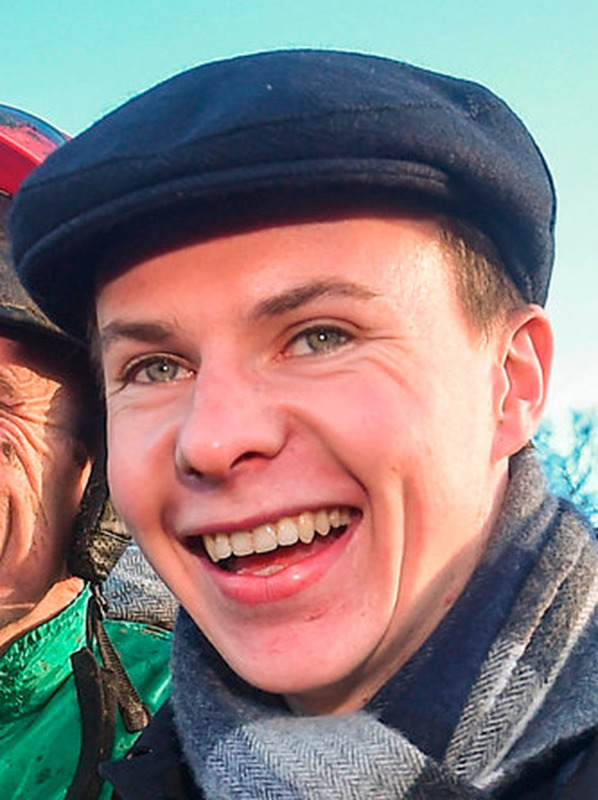 That was over a similar trip as tomorrow's 2m4f test and at double-figure odds - and with Paul Townend again in the plate - the improving five-year-old could reward each-way punters. A star-studded Fairyhouse card also sees the Grade One baroneracing.com Drinmore Novice Chase (1.35) where 11 go to post with none easily discounted. This should be a battle between powerful owners Michael O'Leary and JP McManus, however, with Gigginstown triple-handed through Elliott's Delta Work and Blow By Blow as well as Henry de Bromhead's Mind's Eye. That trio are respected but Joseph O'Brien's Le Richebourg oozed class in a Tipperary Grade Three in October and can score under Barry Geraghty. The Royal Bond Novice Hurdle (1.05) has been won by the likes of Hurricane Fly, Dunguib, Jezki and Nichols Canyon so this year's victor must follow in big footsteps. Ruby Walsh may have left Quick Grabim with a bit too much to do when fourth last time out in a Navan Grade Three but gets the chance to make amends. Mullins' six-year-old already showed enough class to score easily in a Tipperary Group Three and can put his superior hurdling experience to good use to trump Elliott's Commander Of Fleet. Elliott looks to hold all the aces in the Grade Three Juvenile Hurdle (12.35) while it will be disappointing if Envoi Allen - a €450,000 purchase by Cheveley Park - doesn't oblige in the concluding bumper (3.40). Today's action at the Meath track is headed by the €50,000 EasyFix Handicap Chase (1.25) where O'Brien's All The Answers can live up to his name while his father Aidan sends Mendelssohn into battle in the Grade One Cigar Mile Handicap at Aqueduct tonight (8.45) after disappointing in the Breeders' Cup Classic.